Applications are invited from suitably qualified Tanzanian citizen to -fill the vacant job position of legal officer-II at Kariakoo Market Corporation. Liaises and makes follow-ups with outside offices and Authorities on venous issues connected to the Corporation. Drafts contracts, notices, correspondences, orders, reports, and other legal forms. At least two years of experience. An attractive remuneration package will be provided according to Qualifications and experience. Applicants should not be above 40 years. Application with detailed curriculum vitae, certified copies of relevant academic certificates and birth certificate should be addressed to the undersigned so as to reach him/her not later than two weeks from this date of advertisement. Interested candidates should indicate their phone contacts and E-mails. Only shortlisted candidates will be contacted. THE CORPORATION HAS EQUAL EMPLOYMENT OPPORTUNITY TO ALL. 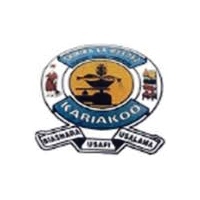 The Kariakoo Market Corporation was established by the Government in October 1974 by an Act of Parliament which was passed to become The Kariakoo Market Corporation Act’’,No.36 OF 1974. The Corporation was established mainly with two objectives, one being to control and manage the Kariakoo Market plus any other market whose control shall be vested in the Corporation. Secondly, to establish other markets in the city of Dar es salaam, control and manage them. Very unfortunate, the Corporation has today only achieved the control and managing of the Kariakoo market, because is the only market which is under control. The Corporation is yet be handed with other hands market within that could have assisted the kariakoo markets, There had been plans to build new wholesale market had forced the Corporation to drop the plans.